G-POS is a Real Time Location System (RTLS) incorporating GPS technology. It is embedded unobtrusively into any type of Container Handling Equipment (CHE), be it a Rubber Tyred Gantry crane (RTG), Transtainer, Rail Mounted Gantry crane (RMG), Straddle Carrier, Reach Stacker, Empty Handler or Tractor Unit, G-POS will automatically track of every piece of mobile equipment on site. 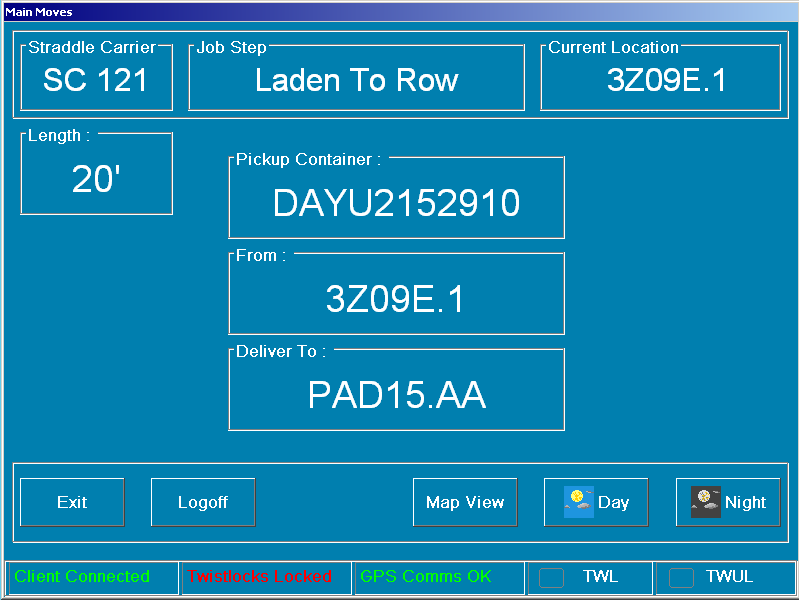 G-POS automatically monitors the storage and retrieval locations for every container handled on the terminal. It is a flexible solution and can be configured to meet the specific operational needs of any terminal with various additional modules and options. How will G-POS help my terminal operations? G-POS helps the Container Handling Equipment (CHE) operator by reducing/removing the need to constantly enter data in order to keep the Terminal Operating System (TOS) up to date. It provides clear and concise guidance to the CHE operator to help him efficiently perform the task of moving, storing and retrieving containers. With G-POS, automated, real-time, error free data is a reality. This allows your Terminal Planning System to have a live accurate database and make the optimal storage and retrieval decisions and optimise equipment utilisation. The elimination of data entry errors and failures to manually update positions is a pre-requisite for the reduction and elimination of many common container terminal issues. 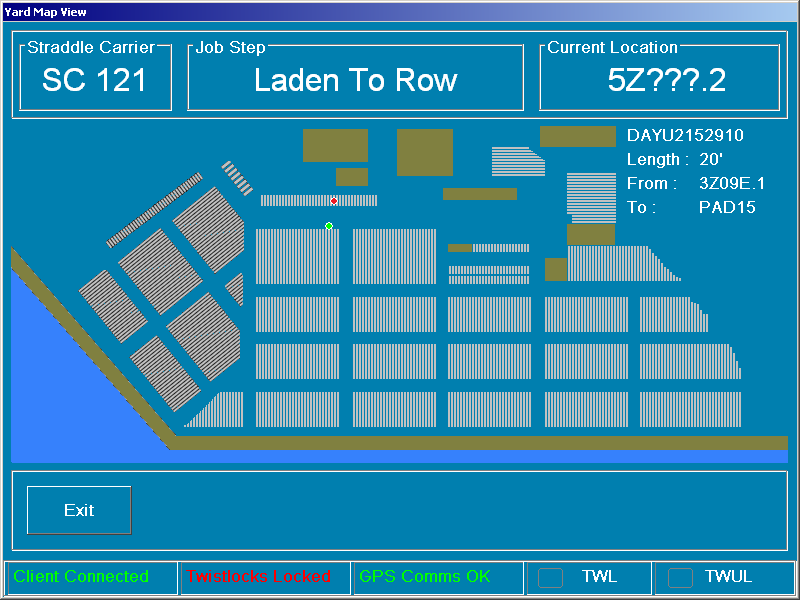 Terminals that use Navis SPARCS 3.x or N4 with PrimeRoute and operate Straddle Carriers can benefit from fully automated "Job-Steps" - G-POS automatically confirms to the Terminal Planning System when steps are complete, based on geo-location, container lift (or set-down) and requests the next available work step. The Straddle Carrier operator simply follows the work instructions with G-POS monitoring every move to ensure it is executed correctly. This eliminates the manual Job-Step process required by the Straddle Carrier operator that could be entered too early, too late or not at all. The Royal Seaforth Container Terminal is operated by Peel Ports is strategically situated in the city of Liverpool on the north west coast of the United Kingdom. Liverpool is ranked among Britain’s major deep sea container ports, is the country’s major gateway for trade with the United States and Canada and serves more than 100 global destinations. The Seaforth Container Terminal handles nearly 800,000 teus (20ft Equivalent Units) a year with 7 Ship to Shore Cranes and a fleet of 34 Straddle Carriers. The terminal already had an existing GPS-based position determination system (PDS) installed on some of the Straddle Carriers in its fleet. However the existing legacy system did not offer the reliability or functionality demanded by the busy modern operation and this prevented the terminal from moving forward with plans for growth and productivity gains. “Our previous technology didn’t allow us to progress with our TOS upgrade requirements. We were keen to make sure we had ‘best of breed’ as we wanted to make large technological strides to ensure we not only met our immediate goals, but also had a future proofed solution in place.” – Gareth Jones, Planning and Operations Manager at Royal Seaforth Container Terminal. G-POS incorporates GPS technology and is embedded unobtrusively in the terminals operation to automatically keep track of every piece of mobile equipment on site, track its movements, provide a messaging system for the operators and monitor the storage and retrieval locations for the containers. 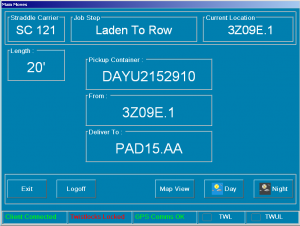 From the moment they come off the ship, or truck all container movements can be automatically identified and their locations tracked. Via the colour touch screen the drivers are provided with a real time location as to where the Straddle Carrier is, the container move instruction and its target destination in either text or graphical map formats – the driver can choose which format they prefer. In poor weather the ability for G-POS to advise the driver of the location is invaluable in circumstances where the ground slot markings are not visible. Job Step reporting is a critical process to better manage both the yard strategy and equipment deployment and has been fully automated at the Port of Liverpool using the G-POS system. The progress of the Straddle Carrier is reported as it makes its way through the yard and this allows the TOS to make decisions on equipment optimisation. G-POS monitors and reads the job steps sent from the TOS, it understands where this is in the yard and can relate this to its current location. As the equipment is approaching the end of the current step G-POS automatically issues a job step completed report without driver input. The next step is then automatically sent to the driver to allow the smooth transition from one step to another without the driver having to stop or input data whilst the equipment is in motion. G-POS is set up to provide the optimal interface for the equipment operator. Whilst it is based on a touch screen monitor the system is essentially designed to operate as a key-less operation allowing the operator to move containers without constantly having the disruption of entering data or confirming positions. 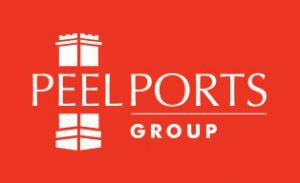 For their installation in the Port of Liverpool Peel Ports selected English as the display language (any language can be selected to suit your location). The screens are clear and easy to see providing information relating to the current status, current position, and the movements to be performed. G-POS works closely alongside the TOS system with a constant exchange of data to ensure optimal operational movements are made. The Job Step screens are clear and automatically change to the next step without input from the operator. The system provides the operator with pre-advice of the container length for pickup, allowing the spreader to be pre-set for the container (This may only be 5 to 10 seconds per lift, but at 500,000 lifts this equates to a saving of between approx. 700 and 1,400 carrier operational hours per year). The operator can also select between text and graphical screens. 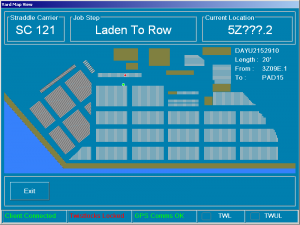 The operators can chose to show the work orders in a text or graphical MapView format. The Straddle Carrier current location is shown in green and the target is shown in red on a representation of the container yard. This is particularly useful for newer operators and yards with a complicated grid system. Even on the Graphical screen the full text details are also shown including the container length. Typically the yard database confidence was 80%. Following the implementation of the G-POS system the yard database accuracy is 99.9+% accurate eradicating lost and misplaced containers. "Liverpool is now recording the fastest turnaround times of any UK port, with 95% of truck drivers processed through the Port within an hour, and 65% within 30 minutes"